Every year, on the night of the 23rd of June at midnight, people all over Spain celebrate “la noche de San Juan”. But what is this celebration? Why do people celebrate? And what are the best places in Spain to go see it? Where does this tradition come from? The origin of the tradition is pagan – and way older than the similar Christian celebration – and is based on the commemoration of the arrival of the longest day of the year, with the summer solstice in the northern hemisphere. In Latin America, in countries such as Argentina, Brazil, Chile, Peru, Puerto Rico or Venezuela, the night of San Juan is also associated to ancient traditions and legends. When the Christian religions appeared, a lot of pagan traditions were included in the Christian calendar and this specific celebration became associated to a purely Christian event: the birth of Saint John Baptist. According to the bible, Zachary lit a fire to announce the birth of his son John, which coincided with the night of the summer solstice. The tradition is to light up bonfires to purify the Sun and give it strength, because from this night, the days will become shorter until the next solstice, the winter one with shortest night of the year. The celebration is especially huge in the coastal cities, on the beaches. The tradition also states that at midnight people have to go in the water to start a new phase of their life. Where are the best celebrations in Spain? A Noite Meiga in Orzán Beach, in La Coruña, Galicia: the celebration of San Xoan in the Orzán beach is one of the most traditional celebrations of this special night, filled with old legendary traditions, witches and wizards. 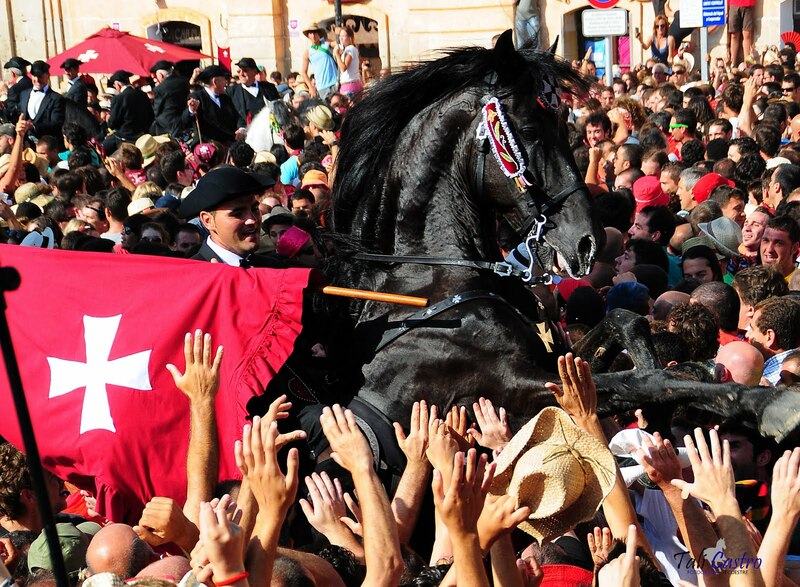 Festes de Sant Joan, in Menorca: In Menorca, the day of San Juan coincides with the saint patron of the island, meaning that the celebration is even more special here. More than the bonfires and the fireworks, the real center of the show are the horses. Sant Joan, in Tarragona, Catalonia: Tarragona celebrates the magic of the night of San Juan with open-air dances in every neighborhood, popular dinners under the stars and fireworks all night long. The bonfires are lit up with the ‘flame of Canigó’, a fire that is started at the peak of the mythic mountain called Canigó. 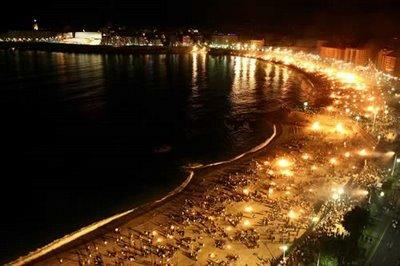 Bonfires on the beach and the burning of ‘júas’ in Malaga: the night of San Juan is one of the favorite celebration of the people from Malaga. 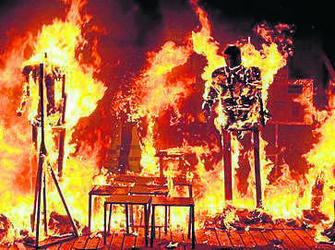 The shortest night of the year is celebrated with a lot of intensity and on top of the fireworks, the tradition is to grill sardines, eat figs and burn ‘júas’, a type of doll made of rag that is thrown into the bonfire.